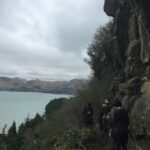 The First Squad in the Flying Geckos Climbing Club. 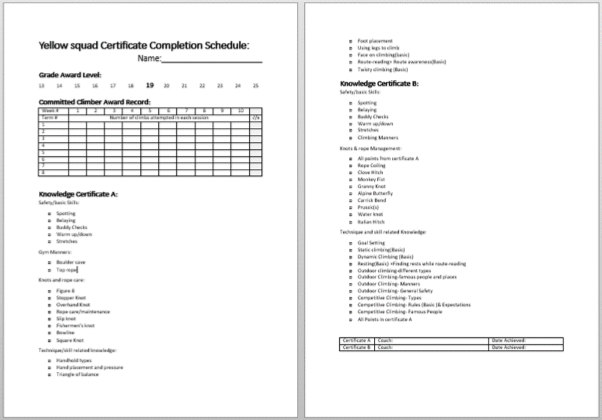 Every Yellow Gecko will have a certificate completion Schedule in their coaches’ folder. This form tracks their progress towards individual awards and is used as an assessment form for the knowledge certificates. There are 2 knowledge Certificates, Knowledge A and Knowledge B. Each taking about 20 weeks to complete. 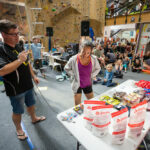 To gain a knowledge certificate the climber has to attend at least 15 yellow squad sessions covering that certificate and demonstrate the use and/or understanding of skills/knowledge. 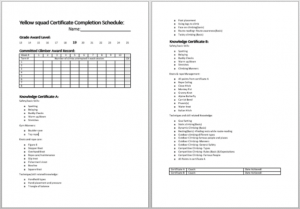 If you get the grade they will circle and initial the grade on your completion schedule. Your certificate will come within the term. This award resets each term. It acknowledges hard work and attendance. On completion of both knowledge Certificates a Gecko will automatically move into orange squad. This will take about 4 terms for people who regularly attend sessions.